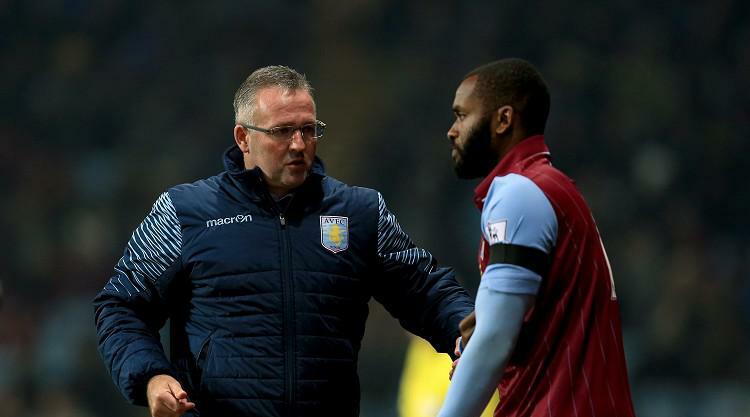 Paul Lambert has defended his decision to send striker Darren Bent out on loan despite Aston Villa's toothless attack leaving them as the Barclays Premier League's lowest scorers. Villa have scored just six goals all season, with forwards Gabriel Agbonlahor and Andi Weimann sharing three apiece. However, Lambert this week packed Bent off to Sky Bet Championship outfit Brighton despite fans clamouring for the proven goalscorer to be given a chance. The Villa boss has always refused to criticise Bent ever since the former Tottenham man fell out of favour during the 2012-13 season, but insists he has his reasons for overlooking the 30-year-old. Asked if Bent's career as a top-flight forward is over, the Scot said: "No, listen, I don't know. "Darren wanted to go out on loan about a month ago but with Christian Benteke being suspended we had to keep him here. "It gets Darren's career going again and that's why I loaned him to Fulham last year, to try to get him going. But Darren wanted to go himself as well. "Christian is coming back after Saturday and I think Gabby Agbonlahor and Andi Weimann will find their feet again in terms of goalscoring. "Charles N'Zogbia is playing pretty decently and Joe Cole is nearly fully fit. So there are certainly goals within the team, we just need to find the solutions to win games." Lambert admits Bent's style of forward play simply does not fit into his own ethos. He said: "I play a certain type of football and in a certain way and Gabby has been playing well up there himself, Andi can do it as well, Christian is coming back so there are three guys there that are in front of him. "There's young Callum Robinson who's come back after doing really well at Preston so I've made the decision for that to happen. "We just play a different way. Darren came to me a month ago saying he wanted the chance to play more games (and go on loan), which I agreed to do." Benteke sits out Saturday's trip to Burnley in the final match of his three-game ban for violent conduct against Tottenham.